I had fun creating some medieval style comic book caption boxes for a story recently so I thought I would share how they are put together. To give you some idea of what I am talking about, before I delve into the steps you take to make it, here is the finished caption box and a blown apart version to show you the elements involved. 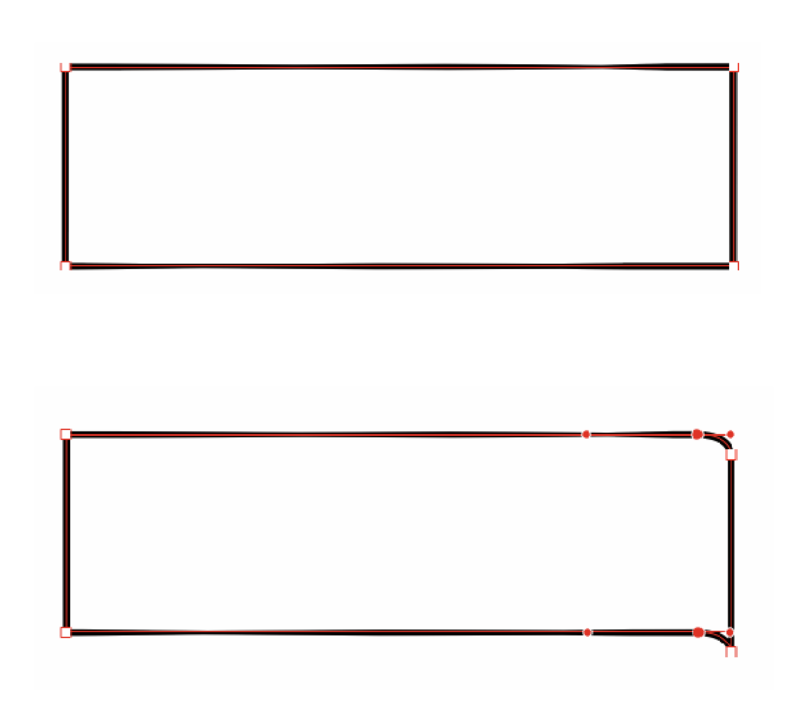 It starts life as a simple rectangle, but then I added two extra nodes, equidistant, to the left of the right hand edge and then pulled the right-hand handles out to line up with the rectangle right-hand edge to create the correct type of curve. Then, I nudged the right-hand corners of the rectangle down enough to fit the other elements in. The first time around this took a little bit of trial and error. Next, I created a squished ellipse that was centred, vertically, to the very bottom most point of our first shape. I duplicated this shape about halfway up the box, perfectly in line. Then, I joined these two ellipses together (I used a new rectangle, selected all three objects, and turned them into a single shape). Next, I created our final shape, starting from the bottom-left corner of recently created rounded-rectangle, making a shallow curve in the centre point of it, then extending it directly up, finishing it off into a complete shape. Then, I colour them accordingly to create the idea of depth and layers. The first shape we created will be the lightest, and last shape we created will be the darkest. Then, lastly, we move the first shape to the top and hey presto – a simple scroll-style caption box. I duplicate this for all the captions on the page and carefully resize without squishing any of the scroll part (very important). And there you have it. Medieval style comic book caption boxes!